Home » Uncategorized » A War Without Enemies! 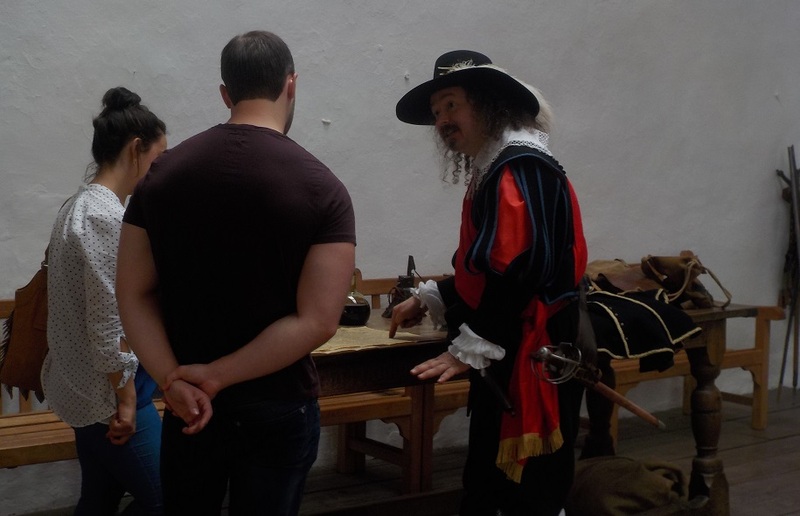 Last weekend (being August 1645) Colonel Sir John Mallory, the governor of Skipton Castle, attempted to reassure the many good folk who had sought refuge in the castle that all would be well. Although Commissary General Sydenham Poyntz and several thousand Northern Association soldiers had taken the town and come within pistol shot of the castle walls, they were so busy arguing amongst themselves (‘playing a german game’ as some of Mallory’s officers had put it) over their lack of pay that they had yet to put the garrison to any particular trouble. Understandably, people were still worried, what with the batteries being built on Park Hill and Sod Hill. If artillery pieces of sufficient size were brought and sited there then all within would be in danger. Of course there were some who found it all bewildering and worrisome, including one little mannikin who simply scratched his head in confusion and concern. 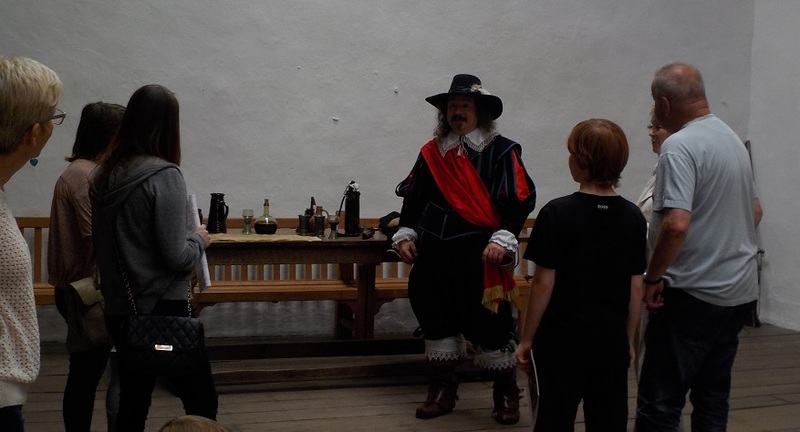 I have to admit I don’t do too many English Civil war days in schools as not too many schools study said topic. 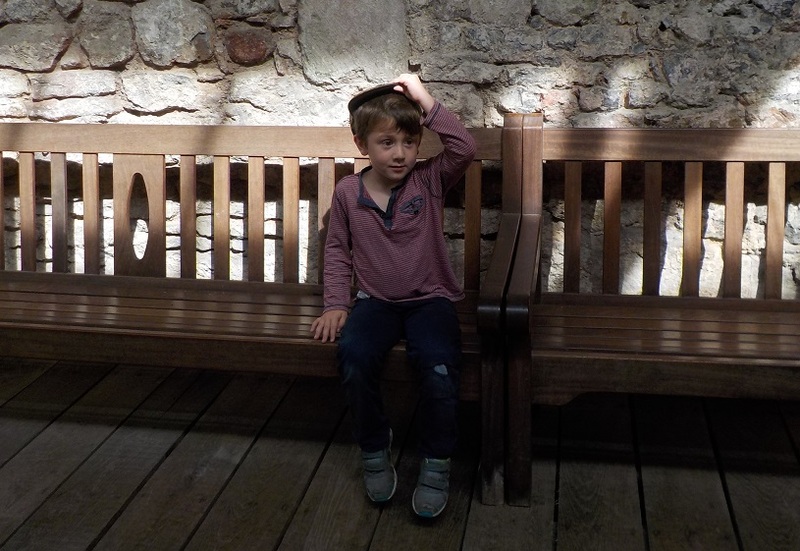 But if you do and you are interested in a visit then click on a Civil War Castle Governor to find out more. To see which of my other characters you might like to visit your school, please take a look at my page of Characters. I hope to hear from you.